Leslie Gaydos reports on a door-to-door scam involving driveway repairs. Whether it’s tree trimming, roof repairs, painting, or paving, beware of anyone knocking on your door with a deal. Miriam Kelleher says she paid a total of $3650 for a driveway she says is not finished and falling apart. Scams want to, "get funds from the homeowner and leave with either shoddy work or no work at all," says Paula Fleming with the BBB. The weather is warming up and you may be anxious to get some work done around the house. But whether it’s tree trimming, roof repairs, painting, or paving, beware of anyone knocking on your door with a deal. “We were in the front garden, and this man walked up to us and said he had some asphalt that he needed to get rid of, and said he would give us a good price,” said Miriam Kelleher of Tewksbury. She says the man, who identified himself as Arthur Stanley from Art’s Paving, offered her a new driveway on the spot for a thousand dollars in cash. Miriam went for it and paid the money. But she says Arthur then told her that he didn’t have enough asphalt to finish the job, and she says he asked her for more money. Miriam paid another $2,300 in cash, but says that wasn’t the end of it. When all was said and done, Kelleher says she paid a total of $3650 for a driveway she says is not finished and falling apart. She says Arthur hung up on her when she called to ask about him fixing the crumbling asphalt. 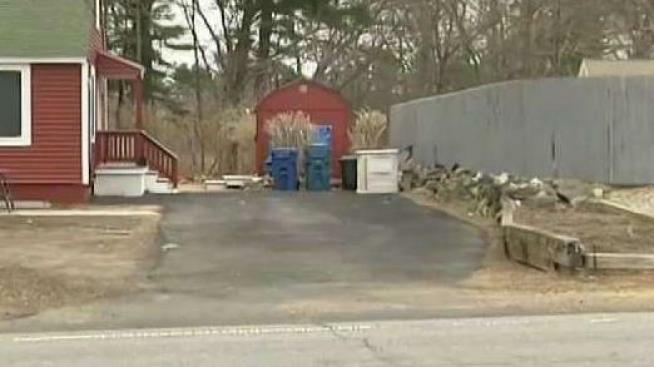 NBC10 Boston Responds reached out to Art’s Paving by phone and email, but we never heard back. Kelleher says she filed a police report and a complaint with the Better Business Bureau. The agency says Arts Paving is not BBB accredited. They have also posted an alert, noting that the company has failed to respond after three attempts to contact them. The BBB warns homeowners to be wary of anyone approaching them, offering a deal to do home improvement work of any kind. “All of these types of scams have the same goal, which is to get funds from the homeowner and leave with either shoddy work or no work at all,” said Fleming. The BBB says you shouldn’t respond to unsolicited offers of service. If you feel pressured, ask the person to leave their information and return next week, that will give you time to verify their credentials and the validity of the visit. And be wary of anyone asking you for cash, offering a deal that seems too good to be true, or demanding payment upfront. Kelleher was able to recover $350 of her money, because that was the portion of the payment that she made with her credit card. She disputed the charge and was reimbursed. In most cases, using a credit card offers you some protection.